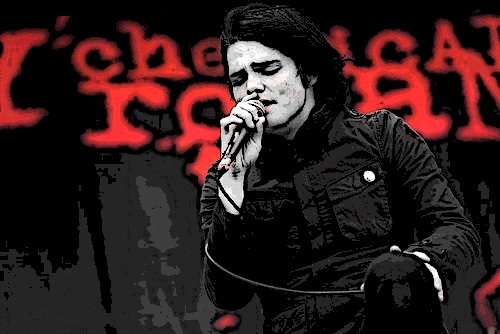 Gerard Way on stage, edited.. Gerard Way Singen on stage, edited in photoshop.. Wallpaper and background images in the My Chemical Romance club tagged: my chemical romance gerard gee way black red photoshop mcr. This My Chemical Romance fan art contains anime, comic, manga, cartoon, comic buch, karikatur, and comics. There might also be konzert.